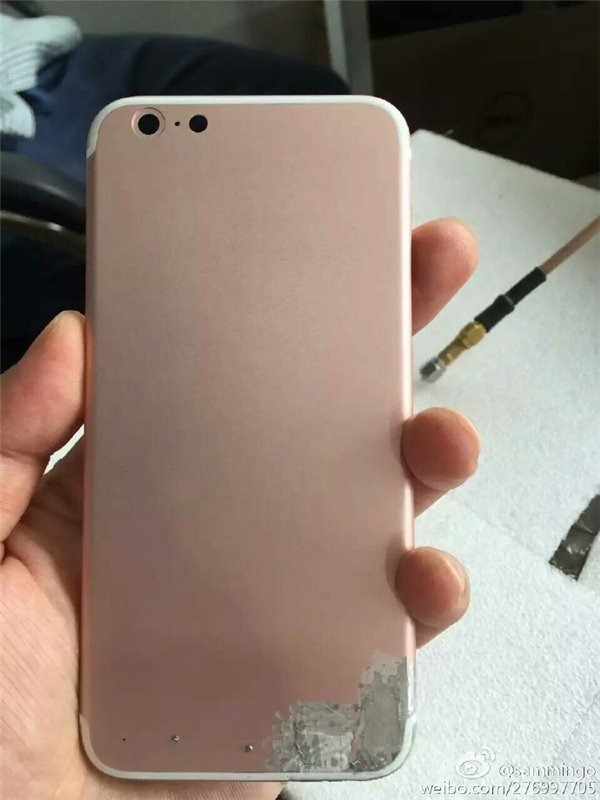 With production of Apple's next-generation iPhone believed to be ramping up, a new purported parts leak shows a rose gold rear casing said to be for a 4.7-inch "iPhone 7," complete with revised antenna lines and a single-lens camera. The alleged Apple component was originally posted on Chinese microblogging site Sina Weibo, and spotlighted by IT Home on Tuesday. The part has a generally iPhone-like appearance, including placement of the camera lens, flash and microphone holes in the upper left corner. 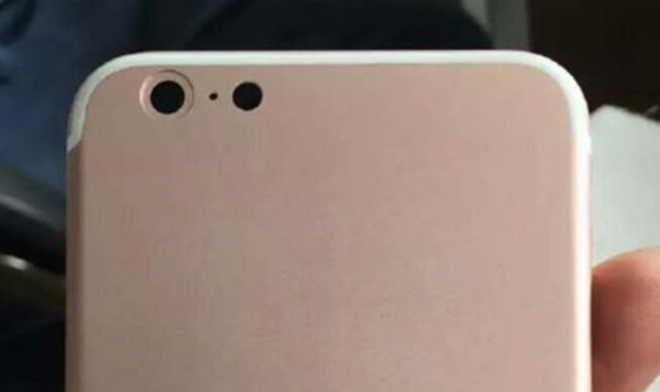 Consistent with earlier "iPhone 7" leaks, the part shows that the antenna lines across the back of the handset have been removed. It is expected that the lines will only adorn the top and bottom edges of the rear shell for this year's redesign. Aside from those expected changes and the already-established rose gold color, the part offers no other indications on new features or capabilities. The shown component appears to be damaged at the bottom and is missing an Apple logo, suggesting that it came from the factory defective, if it's even legitimate. The photo shows just a rear shell without any parts. But earlier leaks have suggested the camera lens on the "iPhone 7" will once again protrude from the back of the device, just as it does on the iPhone 6s and iPhone 6 series. The single-lens design shown is also worth noting, as some leaks have suggested Apple could introduce a new dual-lens camera with this year's upgrade. But recent reports and parts have suggested the dual-lens design could be limited to the larger "iPhone 7 Plus" variant. It's also possible that the larger "iPhone 7 Plus" may exclusively receive 3 gigabytes of RAM for processing images and general usage, as well as a magnetic Smart Connector port for new charging and accessory connection opportunities. Apple is expected to unveil its next-generation iPhone lineup at a media event in September. It's highly likely that the handsets will become available soon after they are unveiled, as Apple has done in years past.